Some Microsoft enthusiasts create their very own concepts imagining Windows 10 features, and today it’s Windows XP's turn. It’s been more than four years since Windows 'XP' support officially came to an end. While Microsoft has stopped patching the old operating system and the company has also asked the users to upgrade to Windows 10, but it still remains one very popular choice for PC users across the world. 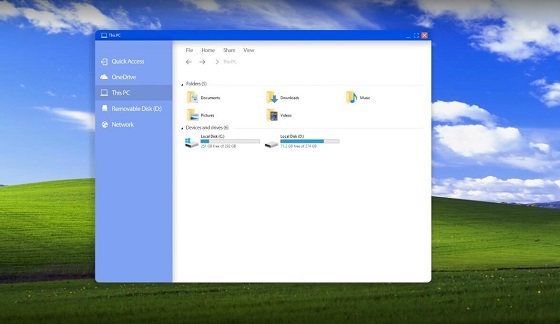 A YouTuber has created a new concept titled “Windows 'XP' 2018 Edition Concept” which imagines the 16 years old platform with a whole new interface. 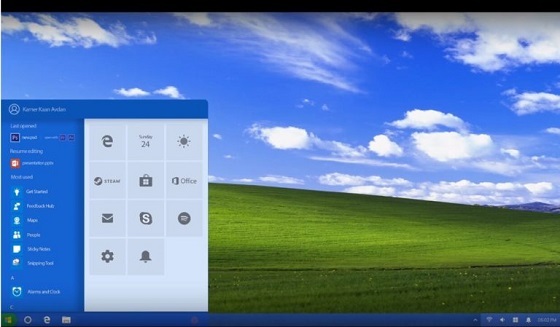 The new Windows XP features a start menu from Windows 10 but the elements resemble the look and feel of the old OS. The conceptual Windows 'XP' features a modern looking user interface elements, and the taskbar has been also redesigned. Despite the modification, the concept still resembles the classic Windows 'XP' and it looks really nice. As you can see, the new Windows 'XP' also comes with Timeline feature from Windows 10. The taskbar, start menu and login menu also feature the classic Windows 'XP'' coloring. Windows XP is still quite popular as in the past few months it actually gained market share, and while we’re getting closer to its complete demise, there are still some users operating the old platform. Experience. Again.- Windows XP is back. Needless to say, Windows XP is one of the most popular Windows version ever released by Microsoft. It’s been more than four years since the company stopped rolling out updates, but there are many Windows XP users who are not ready to give up yet. It’s likely that the platform will lose market share as it is vulnerable. Windows XP is vulnerable to the majority of attacks, and its popularity apparently affects everyone due to the fact that the operating system is still being used by authorities and government across the world.